Why is sleep so important for our wellbeing? At some point each of us will experience that feeling of lying in bed unable to sleep, whether it be as soon as we get into bed or if we wake in the middle of the night and are unable to drop back off. ‘A sleepless night is as long as a year’ is a Chinese proverb that we can all probably identify with and it is important that we take steps to help ourselves to get the best sleep we can, for the sake of our health and wellbeing. Sleep allows our body to repair itself and our brains to consolidate our memories and process information. Without a good night sleep we can feel groggy, irritable and have a lack of energy. Poor sleep is also linked to physical problems such as a weakened immune system and mental health problems such as anxiety and depression. Many people can benefit from improving the quality of their sleep. The phrase sleep hygiene is often used to describe how lifestyle and environmental factors can affect our sleep. Positive sleep hygiene may help to improve sleep quality. According to the MHF Sleep Report the environment of our bed and bedroom can either help or hinder sleep; much depends on our own preferences. The obvious factors are noise, light, temperature and ventilation. Most of us prefer to sleep in a quiet environment. Earplugs may be useful for blocking out external noise although they do tend to amplify the body’s own internal noises which may be distracting. Too much light can inhibit sleep since it affects melatonin levels; eye masks may be helpful. Room temperature is important, neither too cold nor too hot, although the ideal room temperature will vary from person to person. Ventilation can be improved by opening the window, although this is likely to alter the temperature and make the room noisier. It is important to feel comfortable in the bedroom environment, including selecting the right mattresses and pillows. People may need to experiment with all these factors until they find the ideal balance. Sleep hygiene practices, such as those mentioned above, may help people improve their sleep quality, along with reducing caffeine in the evening, taking regular exercise and avoiding looking at phone/television screens just before getting into bed. Nikken offers the Naturest® Sleep System that contains a range of products the may be beneficial to your sleep hygiene. Naturest Kenkopad® – A non-allergenic latex mattress topper that molds to your body’s contours and may improve your comfort and support. KenkoDream® Quilt – The ceramic coated fibres may help maintain a constant temperature. Naturest® Pillow – Fully adjustable by removing or adding filler, the breathable cover may help to regulate your temperature, keeping you confortable. Kenko Power Sleep® Mask – Made of soft breathable fabric, blocking out light may help improve your sleep at home or when traveling or working nightshifts. The new school year is well underway and we hope you are all surviving. Starting a new school year after the summer holidays can be an exciting yet stressful time for children. For those starting a new school, the prospect of new buildings, new teachers and new friends can be a lot to take in. We all want our children to get the most out of their time in school so what can we do to help them? Ensure kids have a good healthy breakfast and lunch, full of nutritious energy giving food that will keep them going all day. Start the day with food such as porridge, which is full of slow-releasing carbohydrates that will keep giving them energy and fill them up until lunch. Our CiagaV® is the perfect drink to give your children an extra boost in the morning. At lunch give them food that is balanced to keep them healthy and give them the energy for the rest of the day. Aim for a lunch that consists of a starchy food (e.g. pasta), protein (e.g. meat or eggs), a dairy item (e.g. yoghurts) and vegetables or fruit. 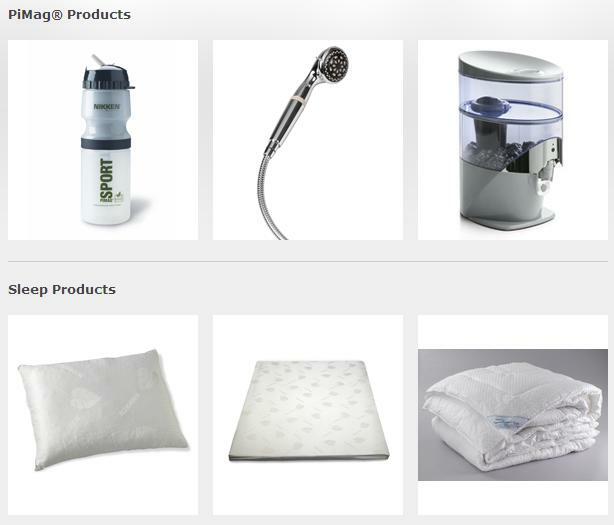 Nikken Europe launches new Product Registration site! It’s almost been one week since the launch of our brand new Product Registration website where Consultants and Customers can register their newly purchased products to receive a whole host of information! Being ‘digital’ means we’re extremely excited about this new project. What happens once I’ve registered? Once you have selected your country and submitted the simple product registration form, you will receive a confirmation email soon after, approximately within one hour (note: this could take up to 24 hours). If it’s been longer than that, please ensure you’ve filled out the form correctly, provided the correct email address and checked your junk email before contacting us. You’ll receive filter replacement reminders and exciting content related to your product. You can find out more about the emails and Nikken’s new digital addition on MyNikken. Or by visiting the Product Registration directly here. What Nikken products can I register? We’ll soon be rolling out quarterly newsletters too, so make sure you’re registered to receive the updates!